Get past security price for an asset of the company. Get past security price for comparison benchmark. 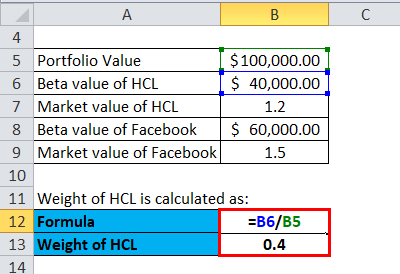 Calculate the percentage change periodically for both asset and benchmark. 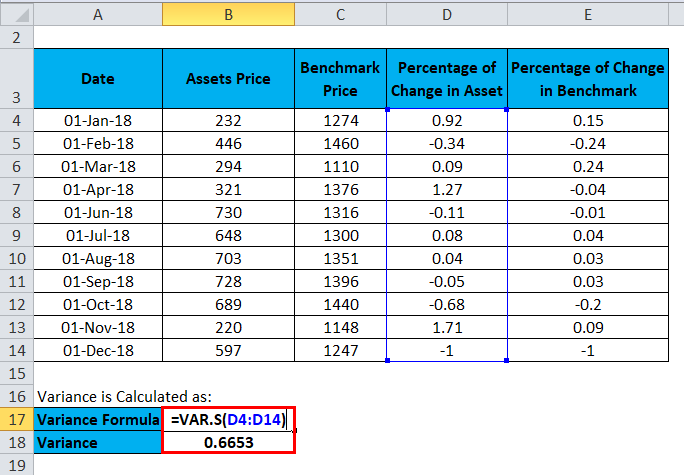 Calculate variance by- VAR.S(Sum of all the percentage changes of the asset). 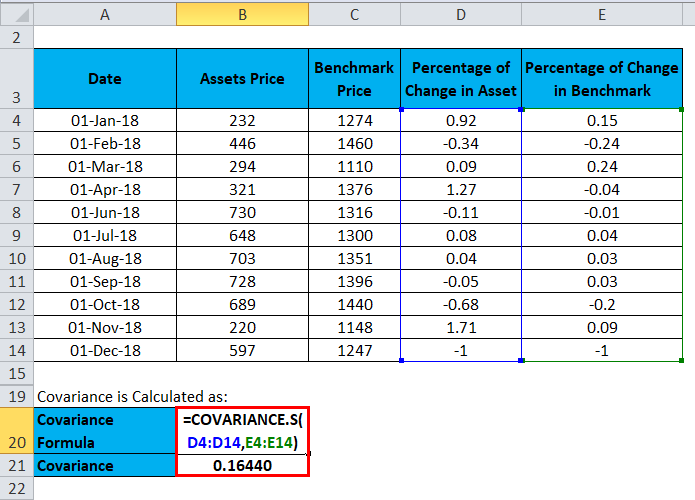 Calculate Covariance by- COVARIANCE.S(Sum of all the percentage changes of the asset, the Sum of all the percentage changes of the benchmark). 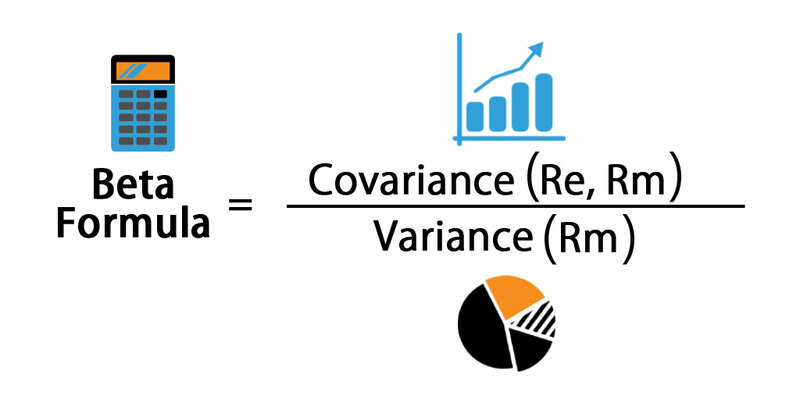 Divide Covariance by variance to get the Beta. Let’s see an example to calculate Beta. A company has below asset and benchmark price from Jan-2018 to Dec-2018. Then calculate the percentage of change in asset and percentage of change in the benchmark. So, the value of Beta is 0.24 which company is less volatile than the market. 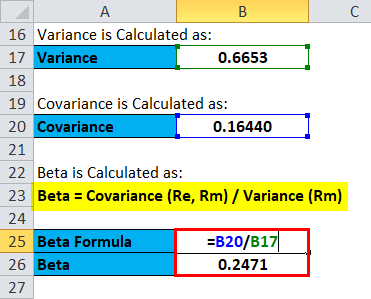 Above formula is used to calculate Beta by dividing the standard deviation of returns of the asset by standard deviation of returns of benchmark which is multiply by correlation of asset return and benchmark return. Now, let us calculate Beta by correlation formula. 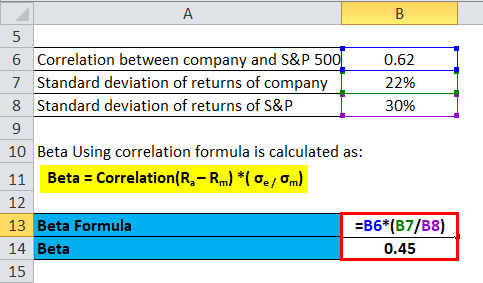 Suppose an investor wants to invest in a company, he wants to calculate Beta of the company and compare it with S&P 500 EFT Trust correlation between two is 0.62, the standard deviation of returns of the company is 22% and standard deviation of returns of S&P is 30%. So, the value of Beta is 0.45 which company is less volatile than the market. It is the rate of return on investment done. If any of the value is in negative that will leads to a value of beta as negative which means loss. It is the stock’s rate of return minus risk free rate. It is the market’s rate of return minus risk free rate. This will provide you value for Beta. A company gave risk free return of 5%, the stock rate of return is 10% and the market rate of return is 12% now we will calculate Beta for same. So, value for beta is 0.71 which company is less volatile than the market. 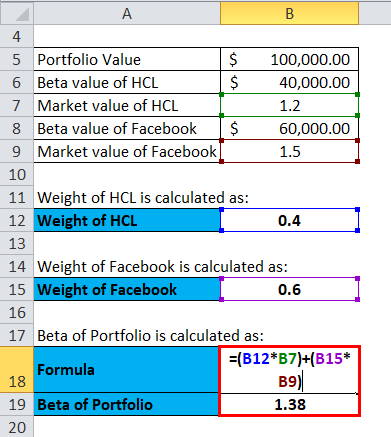 Now, let us see a calculation of Beta for the stock profile. Let us see an example to calculate the same. The beta of the portfolio is 1.38, which means the stock is highly risky and volatile. 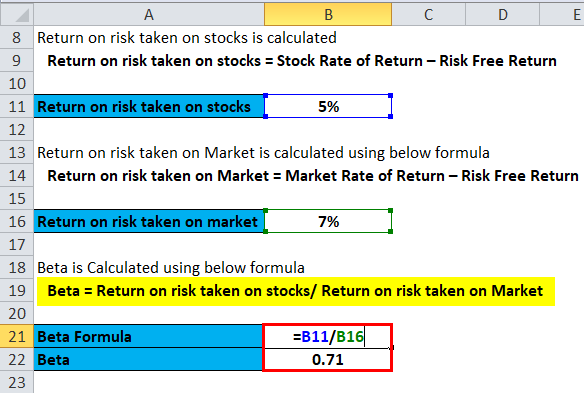 If Beta = 1, then risk in stock will be the same as a risk in the stock market. It means the stock is volatile like the stock market. If Beta >1, then the level of risk is high and highly volatile as compared to the stock market. If Beta > 0 and Beta < 1, then the stock price will move with the market. However, the stock price will be less risky and less volatile. It helps in risk analysis of the stock. Beta helps to calculate rate on returns. It also helps in the evaluation of discounted cash flow. Beta provides a real picture of the investment portfolio. Beta has some disadvantages as it depended on past performance but in reality past performance has no guarantee of future and it cannot give an accurate value. But, still, Beta is highly used by investment bankers and investors to calculate risk. 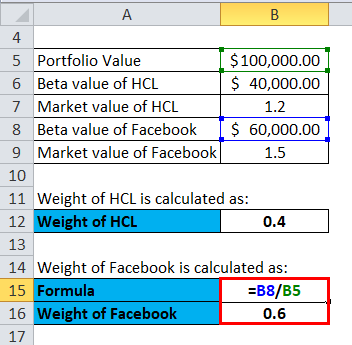 Here we will do the same example of the Beta formula in Excel. It is very easy and simple. You can easily calculate the Beta using Formula in the template provided. How to Calculate Net Interest Margin?